Not long ago, we told you that Marigold was keeping an eye on Isadora’s house. This was because Isadora was taking a holiday break in Kerry for Easter. 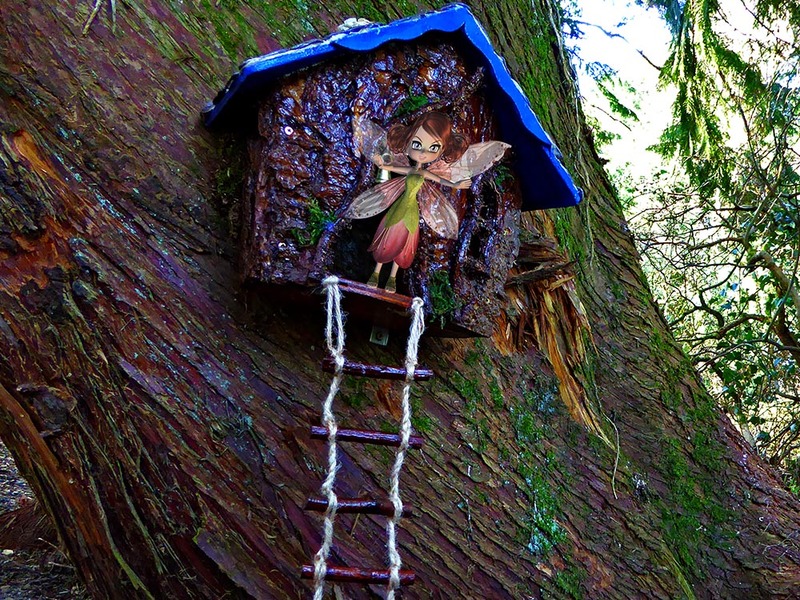 Here she is in Derrynane, where she met some of her fairy cousins. When she came back home to her house in Russborough in County Wicklow, she was a little sad because it looked as if someone had tried to break her front door down. Marigold told her not to be concerned because all the children who visit the woods are going to be much more careful about knocking on Fairy Doors. from now on. Travelling back deeper into the wood, Marigold was delighted to see that all was well at her own home – she was also happy that she didn’t have to worry about Isadora’s house anymore.